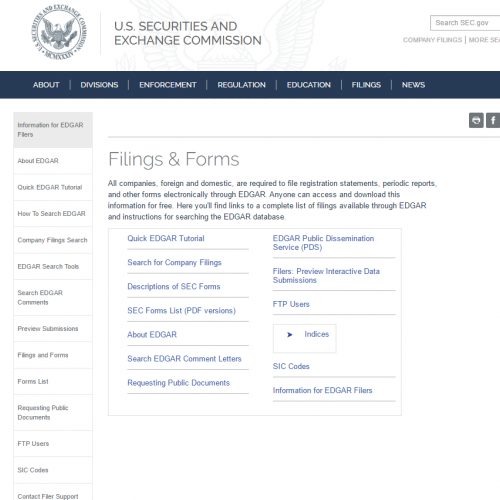 All companies, foreign and domestic, are required to file registration statements, periodic reports, and other forms electronically through EDGAR. Anyone can access and download this information for free. Here you'll find links to a complete list of filings available through EDGAR and instructions for searching the EDGAR database.